This is the best vinyl reproduction of a nearly impossible to find decal. 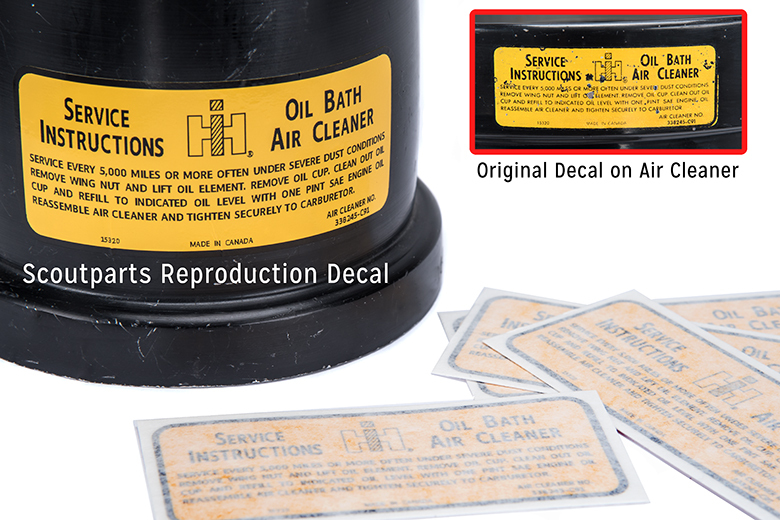 This is the yellow decal you'd find on the air cleaner of a Scout 80, and on Travelall 1961-68. Limited stock available.